Gregory Ain: Low-Cost Modern Housing and The Construction of a Social Landscape WUHO Gallery 6518 Hollywood Boulevard, Los Angeles Through April 26 Gregory Ain was a pioneer in the development of low-cost modern housing, and many of his efforts fused radical, left-wing politics and cooperative living with architecture. And a new exhibit in Los Angeles spotlights five of the architect’s most innovative housing projects. Projects included in the exhibit at Woodbury University's WUHO Gallery in Hollywood are Dunsmuir Flats, Park Planned Homes, Avenel Cooperative Housing, Mar Vista Housing, and Community Homes Cooperative. The show consists of classic black and white photographs by Julius Shulman and contemporary color shots by Korean artist Kyungsub Shin. Shin’s photos—first commissioned for the 2011 Gwangju Design Biennale in South Korea—document how Ain’s small-yet-well-resolved houses—clustered to lower costs, share resources, and create social connections—can still accommodate contemporary lifestyles. "People are highly attracted to these houses today,” said show curator Anthony Fontenot. "There's something very comfortable about them, but they're still strikingly modern." The show also includes original materials, such as Ain’s “manifesto” of the planned community, fleshed out with drawings, documents, letters, and other archival materials. "We could learn a lot from looking at his ideas," said Fontenot. "Our own ecological, economic, and political climate demands that you cannot exist on your own." It was the perfect spring night for a book launch, or a bookstore launch, or both. 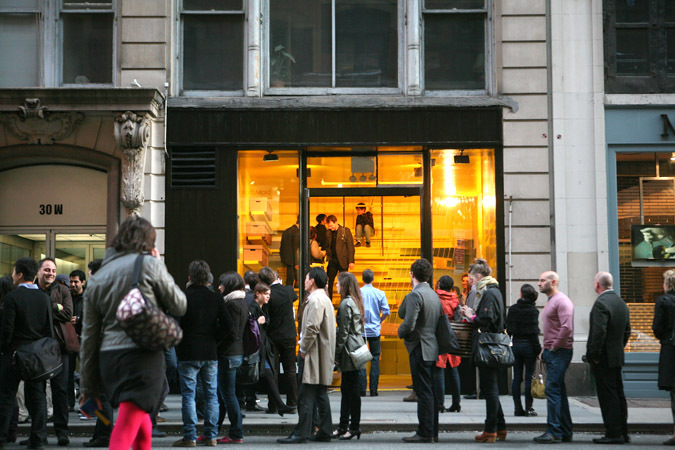 Uptown, AN's Sam Lubell was signing Julius Shulman Los Angeles: Birth of a Modern Metropolis at the ever-elegant Rizzoli bookstore on 57th Street, while downtown Van Alen threw a vodka-fueled shindig to celebrate the opening of their taxi-yellow LOT-EK-designed bookstore-hangout space. This week Rizzoli releases Julius Shulman Los Angeles: The Birth of a Modern Metropolis co-authored by AN's own West Coast editor Sam Lubell and Doug Woods. The book features the seven decades' worth of images (many never published), not only of Shulman's iconic photographs of mid-century houses by Neutra and Eames but also of his lesser known explorations of the streetscapes and surroundings of the city he most adored, Los Angeles. The publisher is marking the occasion with events in Los Angeles (April 15) and New York City (April 21). TONIGHT in Los Angeles! 7:00 p.m., Friday, April 15 : Meet the authors, who will discuss the book as part of a panel (among the featured speakers is Judy McKee, Shulman’s only child and the executor of his estate) and book signing. 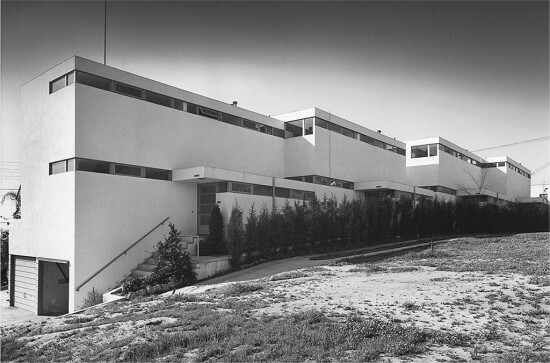 Location: Julius Shulman Institute at Woodbury University, 7500 Glenoaks Boulevard, Burbank , CA NEXT WEEK in New York! 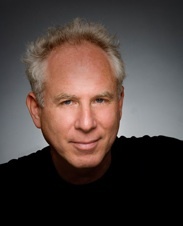 5:30 p.m. Thursday, April 21: Book signing with author Sam Lubell. Location: Rizzoli Bookstore, 31 West 57th St., New York Please visit AN's diary for more info. In the late 1960s, the New York architect Stan Ries was consulting on design and photography for the art nouveau exhibit Hector Guimard at the Museum of Modern Art, when the director approached him with an unusual opportunity to photograph the entire design collection. Given two days to decide between architecture and photography as a career, he chose the latter. “With photography, the creative cycle is much shorter, and you don’t have to have a client,” he said. “I can make the photograph and I can suit myself.” Since that time, Ries has amassed architectural photographs from nearly three dozen renowned artists, among them Ansel Adams, Julius Shulman, Margaret Bourke-White, and Martin Rich. Over 70 pieces from his unique collection can be seen in the exhibition Architectural Photography: from 1860 to the Present at Carrie Haddad Photographs in Hudson, New York, on view through November 29. The works on display have helped Ries sharpen his own eye behind the lens. 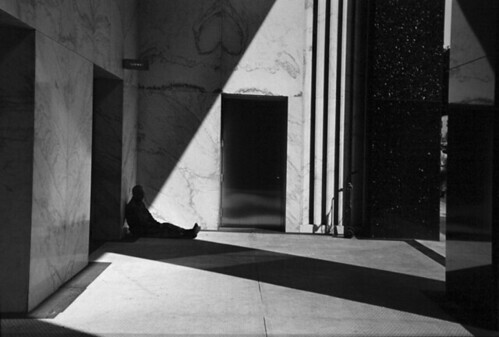 Photographs from Ries’ collection range from English cathedrals to American skyscrapers, from antiquated architectural relics to minimalist interiors. They explore how the two-dimensional photograph captures three-dimensional structure through light, angle, and proportion. Paraphrasing the great architectural photographer Robert Lautman, Ries said the two most important things about architectural photography are knowing where to stand with your camera, and what time to stand there. “Architectural photographers do a lot of ‘hurry up and wait,’” he said. “The most interesting thing I discovered was that the earliest photographers were doing that too. The people that shot in the 19th century—there’s about 15 mid-19th century pictures in the exhibit, and they were not the straight-on Cathedral of Notre Dame,” he said. At the same time, his collection includes work such as David Trautrimas’ surrealist compositions of household appliances as architecture. “It’s the complete opposite of the 19th-century photography, which is what appealed to me about it,” said Ries. The exhibition also contains supplementary art such as the seven- and eight-foot-tall steel columns used in sculptor-photographer John Cross’ photos of ancient ruins. For Ries, architectural photography succeeds when it avoids two issues: generic subjects, too often prominent in travel photography; and poor framing, a symptom of content-driven street photography. “There’s a sense of design and there’s something very interesting going on in the composition. And I particularly like things that are not, how should I say, typical elevation photographs of a building,” he said. “You see the thing, and it has to grab you.” Ries will be present at Carrie Haddad Photographs this Saturday, November 14, at 4 p.m., when photographer Norman McGrath will speak about his newly released book, Architectural Photography: Professional Techniques for Shooting Interior and Exterior Spaces. Featured photographers Richard Edelman, Harry Wilks, Chad Kleitsch, and Martin Rich will also be in attendance. In the first months of The Architect’s Newspaper, more than five years ago, we were preparing a story on the possible demolition of a Richard Neutra house in Los Angeles. 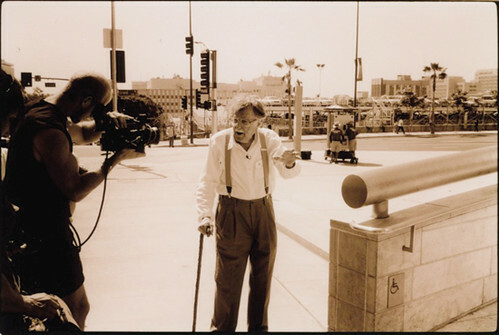 We figured that Julius Shulman, the famed photograper and chronicler of modern California, would have an image of the project. At the time, I called and spoke with Shulman, whose name was listed in the Los Angeles phone directory. He naturally had several images of the house, and when I asked if we could use one of them for the story, he said, “Sure—it will be $700!” I mentioned that we were a poor startup, and asked if he might cut us a deal. “No,” he said, and promptly hung up. Well, now there is a film, Visual Acoustics, that details just why Shulman was such a commanding figure in American architecture. The film receives its New York premiere on October 5 in the Cooper Union’s new Thom Mayne–designed theater. Director Eric Bricker will introduce the screening, which is a fundraiser for Open House New York, and will be followed by a private reception. Correction: An earlier version of this post said the movie was screening October 7. It is screening this coming Monday, October 5. As you may have learned by now, renowned architectural photographer Julius Shulman died Wednesday night at age 98. (You can read our obituary here.) We encourage you to share memories, thoughts, and impressions of one of the most influential figures to ever engage with the built environment. Just leave a comment below. To start things off, we've posted the trailer to the forthcoming documentary about the great photographer, Visual Acoustics, by Eric Bricker. 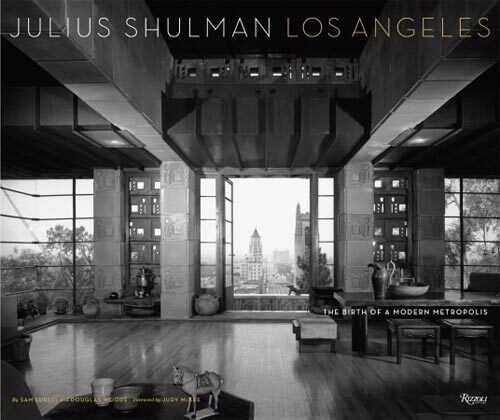 It was moving to watch even before this sad news, but now it really puts into perspective--almost as well as his own photos--the sheer genius that was Julius Shulman. You can watch it after the jump.